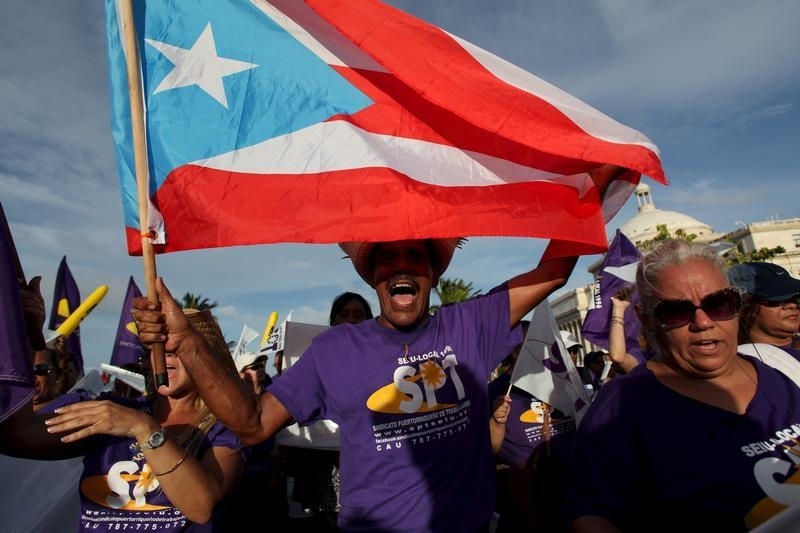 Puerto Rico has reached the end of its fiscal rope. The cash-strapped U.S. territory scrounged up $355 million to pay creditors on Tuesday, surprising some market-watchers who had expected it to default on at least a portion of the money due. Unless Congress offers relief soon, however, bondholders will still face a messy restructuring. The payment included about $270 million of payments to general obligation bondholders, whose right to repayment is backed by a constitutional guarantee. Analysts at Moody’s Investors Service had expected Puerto Rico to renege on its promise to pay another $80 million or so to holders of lower-priority bonds, following an earlier default in August. Yields on Puerto Rico general obligation, or GO, bonds fell as debt markets cheered the decision to leave creditors with their hair intact. Any relief will be short-lived. Even as he cut his administration’s latest check, Governor Alejandro Garcia Padilla issued a fresh warning that Puerto Rico was running out of cash. A freshly signed executive order allowing the government to take revenue originally set aside “to pay debt service on the debt of certain public corporations” and make payments on constitutionally guaranteed bonds might provide some wiggle room. But Puerto Rico may still struggle to cover a $945 million debt-service payment looming on the first of the New Year, some $330 million of which is due to GO bondholders, according to Moody’s. Unless Washington acts quickly to grant Puerto Rico access to an orderly restructuring process, the results could be messier than necessary for both islanders and bondholders alike. The island, which is struggling to support more than $70 billion of debt after a long economic recession, defaulted on bonds that did not enjoy constitutional protection in August.